Melanie Stryder of Bella Swan? When do u think Bella will become a vampire? have u seen her in person, like at a book signing? Help me please...What is Stephenie Meyer's emai address??? Have u ever noticed that almost all the relationships in Stephenie Meyer's boeken have one partner significantly older than the other? populair YA auteur Jenni Frendswith talks about the roll-out of her boeken in paperback, including the much-anticipated THIS YOUNG JESUS Vol. I. She talks about the future of the series, other projects, paperback vs. ebooks and life at new house Blujesto Press. Q: Jenni, your boeken seem to be coming out all over the place! I liked your recent interview for your poetry book, HAIKU FOR YOU. Is that not coming out in paperback? I was lucky enough to be able to sit down with Jenni Frendswith, the auteur of the new novel Stonecraft, now available on Amazon.com. Her book is a part of a web-hosting program at the homesite of auteur Fletcher Rhoden (fletcherrhoden.com/links) where there is contact information and a discount code and link. In the interests of full disclosure, my own book aantal keer bekeken of a Progressive Christian is also on the site. Q: This is your first book, Jenni. What made u want to write, and why this story? In the current issue of EW Magazine (August 17/24) with Edward and Bella on the cover, there is loads of news on Breaking Dawn – Part 2 including new afbeeldingen from the film. On page 37 of the issue, there is a Q&A with Stephenie Meyer. It also has a new picture of her for the article. There is one vraag that is about The Host, and I have typed it out below. “You’re currently working on a film adaptation of another of your books, The Host. Has your experience with Twilight changed how u feel about turning your boeken into movies? 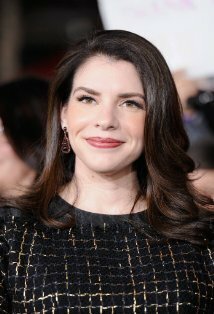 a question was toegevoegd: Help me please...What is Stephenie Meyer's Email address??? Who do u think should've played the Twilight characters?